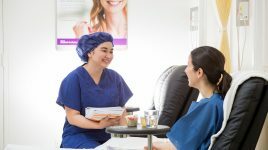 President Private Hospital, located in the leafy southern suburbs of Sydney – in the heart of the Sutherland Shire, has been providing professional healthcare services to our local community since 1992. With our dedicated team of Doctors, Nurses, and Allied Health staff we deliver specialised and professional care to all of our patients. President Private is committed to being the hospital “where caring still counts“. Our specialties include a centre for excellence in Day Surgery procedures such as Eye Surgery and Endoscopy, with three state of the art operating theatres. 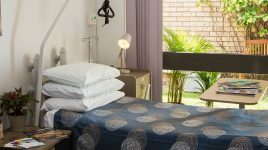 President Private Hospital provides a total care rehabilitation experience with an experienced Allied Healthcare team, two onsite gymnasiums and a large Aquatic Hydrotherapy pool. We pride ourselves in providing highly experienced staff who are professional and holistically caring. President Private Hospital is part of Macquarie Health Corporation. Since 1973, Australian-owned, Macquarie Health Corporation has been helping Australians by providing high quality, cost effective healthcare in the communities we serve. Today, we are one of the nation’s leading provider of healthcare services that includes 12 Private Hospitals, Macquarie Medical Systems, MacRehab, Machealth eHealth solutions and Pen CS health informatics.